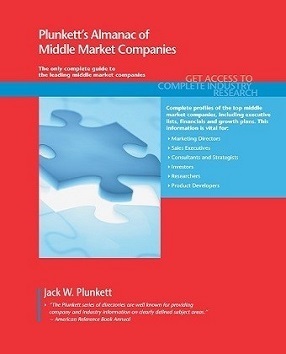 Outsourcing Powers Growth in Middle Market Firms - Plunkett Research, Ltd. Among the most powerful trends in the world of business is the outsourcing of day-to-day tasks to third-party firms that specialize in mundane work. While many business people and researchers are aware of this trend, they may not understand the exceptional effect it has had on mid-size firms (those of roughly $100 million to $1 billion in annual revenues). 1) To boost a company from its early (or startup) stages into significant size requires that the firm’s management find a way to do a thousand little things consistently and accurately. For example, a young company may have raised capital and hired engineers to develop an outstanding new security system that boosts the safety of public school buildings. There is clearly widespread demand for such a system, and a firm that can quickly serve this need with the right product might grow into a massive success over a few short years. If the product is right, and if management executes a good growth plan, the firm might quickly surpass $100 million in revenues. But, how would such a firm handle the burden of the myriad details required to handle such growth? Outsourcing is typically the answer. For example, the company’s staff will need to soar in size. Human resources management might be outsourced to a firm like Insperity or XcelHr. Manufacturing might best be controlled close to home. Let’s say our growing company is based in Arizona in the U.S. It might outsource its security system manufacturing to Axelsys, in nearby California, where the firm’s product design team could cooperate readily with Axelsys’ manufacturing experts. This can be much more effective than attempting to manufacture overseas during a company’s early growth years. How about the problem of installing those security systems at schools located all over the U.S., and perhaps eventually all over the world? Here again, a large number of highly experienced specialist companies are ready to provide those services on an outsourced basis. Clearly, the utilization of outsourcing can help a growing company handle needed tasks efficiently while concentrating on making its own products better. This model has been the key to growth for many of today’s most successful mid-size companies. 2) Now, here’s the second positive effect of outsourcing on the middle market: Many of those outsourcing firms have themselves become growth stars. Perhaps most noteworthy are the outsourced warehousing and logistics companies that have grown so rapidly. Many have reached $500 million and more in revenues, by handling the warehousing, packaging and shipping needs of growing clients, in a practice known as 3PL or Third-Party Logistics. Such services are particularly critical for today’s soaring ecommerce industry. 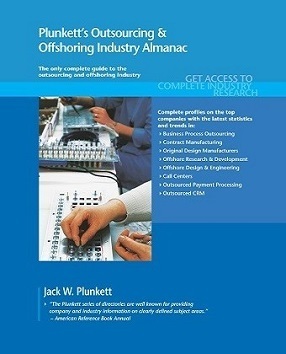 Plunkett’s Outsourcing & Offshoring Industry Almanac, 2019 edition. Plunkett’s Almanac of Middle Market Companies, 2019 edition. This entry was posted in News on September 5, 2018 by NOTadmin.